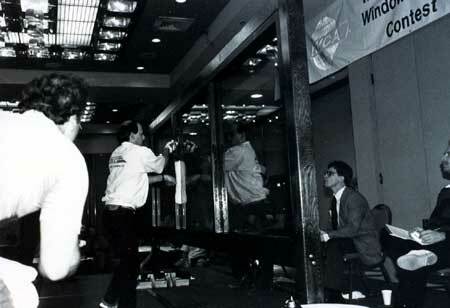 The Guinness World Record for Window Cleaning was established in the early 70’s in England. . 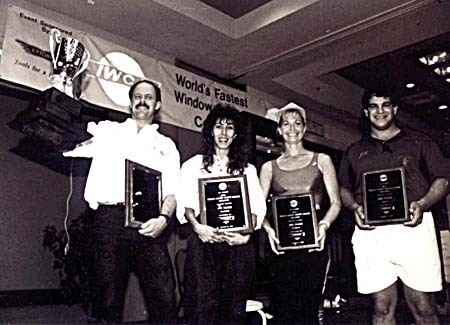 This race came to America in 1989 and is now held each year at the annual IWCA Convention held throughout the USA. The race is composed on stage with 3 windows; each measuring 45 inches x 45 inches. 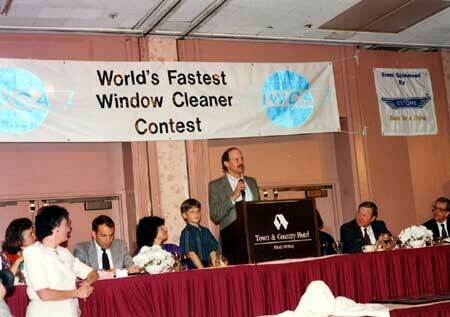 Every contestant must wet each window with a 14” washer wand and then squeegee each using a small 12” squeegee. On stage there are 3 time keepers, 3 window judges set behind each window and one floor judge. The Floor judge starts the race and it is finished when the last window is complete. Each mistake yields a one half or one second penalty depending on the size. The high and low times are thrown out and the middle time is accepted. More than one hundred contestants come from all over the world to compete. Each year the French, Dutch, Australians, Japanese, Americans, Canadians and other European Countries come seeking the honor of winning the race and setting a new world’s record. Keith Witt the owner of Winco has broken the World Record 3 times at this event; a feat which has never been duplicated. His last record before retiring froze the Guinness World Record for this race. After over 8 years petitions were submitted to change the window size, so that a new race could be established to revitalize the competition, which was waning in interest from a lack of new records. Keith’s Record for the race froze in time and still stands today unbroken. The new race with new window sizes became the new Guinness World Record standard, even in this Winco gained notoriety as the next 2 years brought about French records which were influence by Winco. 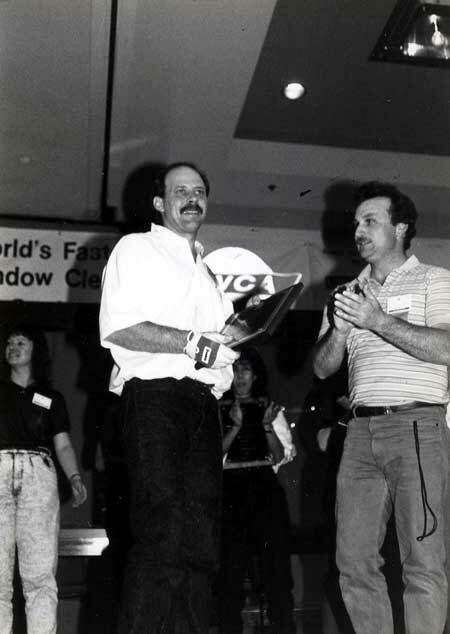 Keith and Kevin personally trained both French Contestants at the ISSA InterClean Expo Convention held in Paris France in 1992. 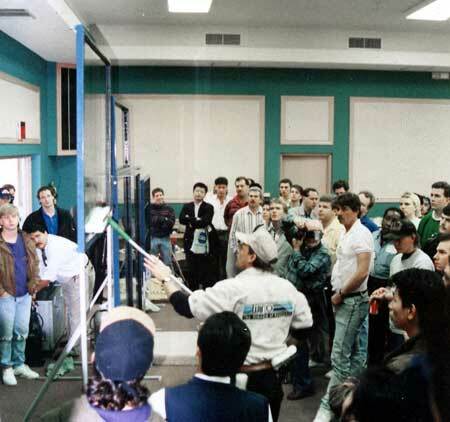 Winco systems were used to set the new world records. Now, we say all of this to let you know that we were setting records not so much for our sake but for yours. Each record we set had in mind a statement that we wanted to make to our customers concerning our standards and commitment to serve at the standard of excellence. Those records state that we will give our best to those who trust us and support us. Thank you for supporting us for over 30 years and may each task we take on for you reflect record setting diligence, innovativeness and precision.